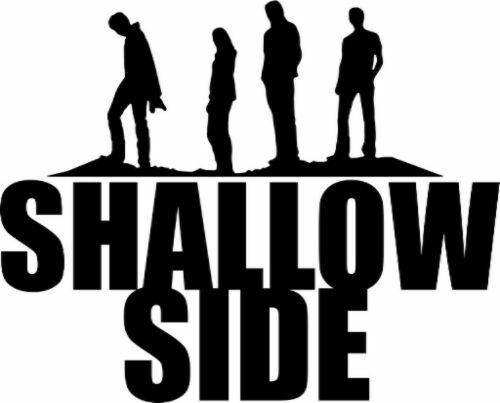 I got an e-mail recently suggesting that I check out a band from Alabama called Shallow Side. As I hadn’t heard of them, my first stop was the YouTube links for the tracks “Rebel” and “Renegade” (a cover of the Styx track). Liking what I heard, I posted a recommendation for their latest EP “One” (http://www.rockradioni.co.uk/back-stage/music-reviews/2983-ni-rocks-recommends-qoneq-by-shallow-side.html ) and decided to send over some interview questions to find out more about the band. You’ll find these questions and the answers below. Shallow Side are Eric Boatright on vocals, Cody Hampton on bass, Seth Trimble on guitar and keyboards and Heath Fields on drums. The latter kindly answered the questions for us. NI ROCKS – Thanks for taking the time to answer a few questions for Rock Radio NI. You’ve just released your latest EP “One” through Thermal Entertainment. When did the band get started and how did the four of you get together? HEATH - We started playing together shortly after high school. Seth, Eric, and myself all went to high school together and we started having jam sessions purely for fun. It just kind of snowballed the longer we played and we ran into our bass player Cody at a local show and he informed us that he was going to be in the band. It didn’t take very long for us to click. 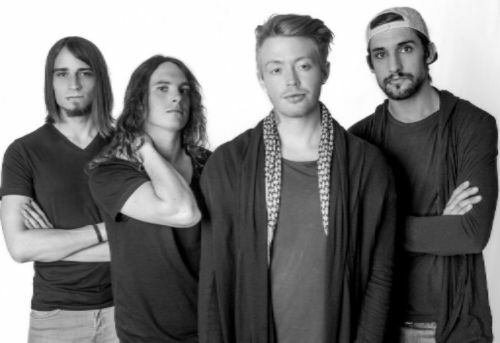 I think one of catalysts for the band was actually the fact that there was not a music scene locally at the time the band formed in late 2010. We had to build our own scene from the ground up, so that definitely was a big factor seeing all of our dedication and hard work start to develop a scene. NI ROCKS – What were your musical influences at that time and did you have a firm idea of what you wanted the band to sound like? HEATH - At that time we knew we had a dream, we had ambition, and we wanted to play music and tour. That was all we knew. We didn’t know anything about the industry nor did we know anyone in the industry. We are the epitome of “started at the bottom”, but we also had the drive to push forward towards establishing ourselves as a band so we packed it all up into suitcases and hit the road touring and trying to learn anything we could about the industry. I think sonically it is tough to take a group of artists and say “OK, we have to sound like this.” You just have to get to know each other’s strengths and weaknesses and work them to your advantage. NI ROCKS – How easy was it to pick up local gigs in Alabama when you were getting started and then to move into surrounding states? HEATH - It was extremely tough in the beginning to get gigs even locally at first. When no one has ever heard of you, they tend to be a little more reluctant to book you. We started putting on our own shows in our hometown and doing all the groundwork and promoting ourselves. They started out small but the more we did and the harder we promoted, the bigger the shows became. After doing that for a while we began spreading out to surrounding cities, then surrounding states, and ultimately we began touring full time. NI ROCKS – Coming from N Ireland or even Europe, where nothing is really too far away, the distances covered and time spent driving between venues in the USA must be hugely draining? HEATH - Yes, it certainly can be exhausting. The U.S. is a very large country and basically anything in the middle part of the country is spread out with hours in between towns. It gets extremely tiring, but it is all worthwhile when you show up to that next town and get to make someone’s night or entire week better at a Rock show. That is a feeling that drives and motivates us on a daily basis. NI ROCKS – Your band bio mentions three potentially career ending injuries suffered on tour. What’s the story there? HEATH - Yes, we have had 4 serious injuries while on tour or within a couple days of tour. Thanks for reminding me that I need to update! I am the culprit of 2 of them, so basically, I need to quit being a bonehead. The first one was a snapping turtle related incident where a snapping turtle bit my thumb and severed my tendon, nerve and artery. I had to have surgery on my thumb to repair it, but we kept on touring right after and I had to learn to play one handed like Rick Allen from Def Lep. The second was a fishing incident involving our bassist, Cody, where a fish with razor sharp teeth bit his hand. He said it looked like the Lockness Monster. But that also required surgery to repair the tendon on his hand as well. A few months later our singer, Eric, was walking down the street and against all prior warnings, popped in a piece of bubble gum. Everyone know that singers can not walk and chew gum at the same time. Of course, he fell down and bumped his head (Rather hard) and had head trauma for a few weeks but luckily no surgery was required in his case. Most recently, I decided to go back to my hoodlum ways and hopped on a skateboard while on tour. I took a tumble and broke my Collarbone in 3 places, which required surgery AGAIN. As of Dec. 31st 2016 I am back behind the kit playing drums and we are all healthy. I decided to retire from skateboarding. Our guitarist, Seth, who has dodged all the injuries, is currently locked in his room and wrapped in bubble wrap. NI ROCKS – “One” is the third EP from the band. Where was it recorded and who did you work with? NI ROCKS – How would you compare it to the first two EPs – both musically and in terms of how it was written and recorded? HEATH - We tried to do a better job with “ONE” on capturing who we are and where we come from. I feel as if we did not quite capture that aspect as well in our first two releases, not trying to bash either of those EPs, they are like our kids, but I feel like it is portrayed a little bit better on “ONE”. It was a very tedious and challenging process writing and recording it, we definitely challenged ourselves as artists, which is something you should always do. There is always room for improvement, so you always try to leave the studio having to better yourself as an artist. NI ROCKS – The first track released from the EP was “Rebel” and the video for that track is edging close to a million views. What’s the story behind that track? HEATH - Rebel was a song that we wanted to let our southern roots shine. It started like most of our songs do, with a riff that catches the ear, then we start arranging drums to make it move. Once we figured out a vocal hook it started basically coming together on its own and was very natural. The most challenging piece to “Rebel” was finding someone on the streets of Boston to feature on the track playing banjo. NI ROCKS – The press release with the EP mentions that you hope to have your first full studio album released later this year. Where are you with that and is there an anticipated release date? HEATH - I cannot specify a date as of now. We will be working on new material this year, though. NI ROCKS – Will you be working with the same people that you did on the “One” EP? HEATH - We are still in talks with different studios and always try to keep an open mind. I would say it is a definite maybe. NI ROCKS – Is the album likely to include tracks from the EPs that have been released or will it be all new material? HEATH - It will more than likely be all new material. NI ROCKS – The “One” EP also includes a cover of the Styx track “Renegade”. What made you want to cover that track in particular and have you had any feedback from Styx on your version? HEATH - Yes, Tommy actually said “DAMN, That’s smokin! I approve.” To have the approval of someone we grew up listening to is nothing short of spectacular! Tommy Shaw and Styx have been an inspiration to us for basically our whole lives, so that is an honor. We went into the studio knowing we wanted to do a cover song, and after pitching a few different ideas back and forth, we never found anything that stood out to us. As we were taking a break from tracking, trying to clear our heads, we noticed “Renegade” playing in the background and unanimously agreed that was the song to display our Rock roots, as well as, put a modern twist on a classic hit. NI ROCKS – With Styx, there is obviously some classic rock influences there, but what music do the band members listen too when you’re all together in the van on the road? HEATH - We listen to any and everything. Our bass player, Cody, loves to put on Mariachi bands and throw on a sombrero, crank the dial up to 11, and honk the train horn at people driving through town, so there is that. NI ROCKS – Can you remember what the first band was you saw play live and what the last gig you went to was? HEATH - The first band I seen live was Tool. They were incredible. And the last show I attended was Sixx AM, Shinedown, and 5FDP. NI ROCKS – And on a similar vein, first album that you bought and the last? HEATH - The first album I bought was either Savage Garden or the Spice Girls. Go ahead and judge me… I also bought Backstreet Boys and Britney Spears, so there is more fuel for the fire! The most recent album I bought was the new Shinedown, so hopefully that redeems me just a little bit. NI ROCKS – If you could pick your dream band to go out and support on tour who would it be? HEATH - That is a very tough question, so I will try not to overthink it. Foo Fighters. They are an incredible band, and if any of Shallow Side was to get injured, Dave Grohl has that custom chair that could save the day. NI ROCKS – Obviously, the album is planned for later this year, but what else has the band got coming up in terms of tours etc? NI ROCKS – Presumably you’d like to tour internationally as well. Would Europe be the first place you’d target and has there been any discussion of a European tour? HEATH - We would certainly love to tour Europe. We are hoping this release will help get us there, and this interview hopefully finds the people of Ireland well. We appreciate the opportunity you have presented at NI Rocks. We will be looking forward to getting to Ireland and finding that pot of gold, I just hope Conor McGregor is not standing guard. Gold is not that important. NI ROCKS – The latest single from the “One” EP is the track “Fight or Flight”. What’s the story behind that track? HEATH - It is the hardest hitting track on the EP and the lyrical content drives the point home. Life is not all sunshine and rainbows. It is not about how many times you get knocked down, but rather how you respond when you get knocked down. Shallow Side understands this as well as anyone. We have had to overcome crippling injuries on multiple occasions, been left stranded on the road by crooked booking agents in our early stages of touring, but “quit” is not a word in our vocabulary. “Fight or Flight” is exemplary of this mentality that always has driven us to push forward. NI ROCKS – Thanks for answering a few questions for us. Best of luck with everything. I look forward to hearing the new album later this year. HEATH - Thank you very much for having us, we appreciate the interest. 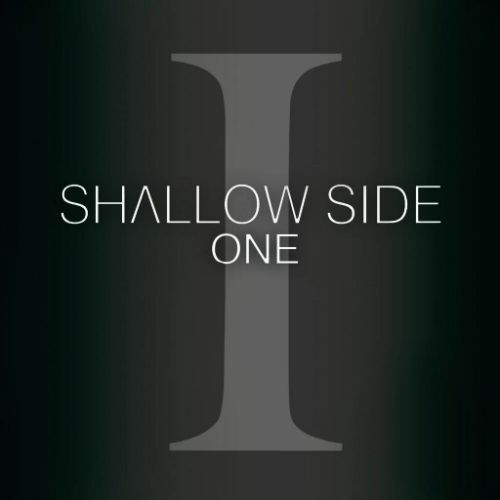 For those wanting to find more info on Shallow Side, please find us on Social media and Youtube.